Is it the same? I believe so. The information that is coming forward right now is from what I have discerned as an aspect of myself that resides within the vibrational field of the 7th dimension. I call this consciousness Shy Mi Ra, and this energy carries with it a unified perspective. Our consciousness resides within the oneness of all of life. It is really just a matter of focused attention that we experience anything and everything. The human experience is an adventure into time and form, it is to be felt however it is often the case that the sacred heart has been sacrificed on the cross of the mind…the intellect or some perceive this a s ego. 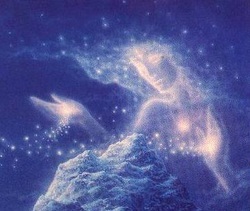 Ascension is the journey of the heart….the journey of compassion. 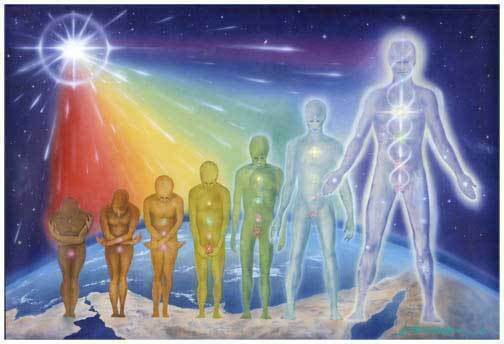 As a blended being is being birthed or evolved, however you would like to equate it. This process is assured, the question is how do you want to experience it….right here…. right NOW! Expand your awareness so that you may fully feel the beauty of creation and open up to all the miracles and magic that surrounds you each and every moment. 2. Those who have inflicted the suffering. This in NO WAY approves or endorses the action, it’s only an acknowledgement of the “inflictor’s” part in the formula. It releases the hurt and the ways of knowing the pain to help it move through and clear in your body. * Imagine a more global (not personal) difficult, horrific, pain-filled situation, such as the strife in the Middle East, the gulf tragedy that is occurring right now or the horrors of 9-11 ….the news and history books are full of possibilities. Choose one that has strongly affected you or is causing you pain to think of it now. 1. I bless those who have suffered. I bless those who have lost loved ones, who have lost their children, their spouses, their friends. I bless those who have lost their homes and their lands, and their precious possessions. I bless those who are still suffering in their losses, their fears, and their agonies. 3. I bless myself as witness to the pain. I bless myself as witness to the loss of trust, the loss of security. I bless myself when I lost a part of myself…of my childhood. I bless myself in the knowing of what I have lost. I bless myself in the burying of the pain in my body. I bless my body for holding the pain. I bless my body in releasing the pain which no longer serves me. I bless myself, I bless myself, I bless myself as the witness to my suffering. Gregg Braden offers this definition of Compassion. A thought without an attachment to an out come….A feeling with out distortion….. an emotion without the charge. This is our journey, to reconcile our feelings and experience life as whole, joyful, loving beings. Then perhaps ……You have just defined your next step in your path towards balance and mastery. Your emotional charge of a universal fear, though often unconscious, is your promise that you will create patterns of relationships showing you these fears. We feel left or abandoned by our creator without explanation or reason. We feel alone. (Ex: “our father who art in heaven” vs. “our father who is everywhere”). Expressed as: relationships where you are devastated when they fail, always being the one who gets “left” in the relationship, and/or being the first to leave a good relationship so that you are not hurt. We are not “good enough”. Not worthy of our greatest dreams, highest aspirations, or deepest desires. There is a doubt from deep within that we will never have these things because we collectively question our deservability. Expressed as: inability to surrender to our experience and/or relationships that mirror our expectations of this world being unsafe and unworthy of our trust. Our universal fears appear so well disguised and accepted, that it is often easy to overlook them or to rationalize them as something else. Relationships are the temples of today, These mirrors will be presented to everyone through the relationships of their lifetime.. Through these connections we have insights into ourselves and our personal development. They show us where we are at with our Universal Fears. With their insight, we can release our fears and heal ourselves. Written in order from least to greatest degree of subtlety. Many mirrors are presented to you through interaction in the moment, not hours or days later, so that the correlation between the pattern and the outcome can be recognized. This is popularly known today as “being in the now”. If we are seeing our mirrors, then they are current patterns, happening now. The mirror becomes our moment of opportunity. Through these reflections we can become aware of our charges and remove them. When you find yourself reacting with a charge to something, there is a good possibility that you are experiencing a powerful opportunity to know yourself on a deep, yet subtle level. If you find your response is particularly strong, Bless that moment. You may be experiencing the first step in a powerful series of initiations that will lead you to the greatest levels of personal mastery, the mirror of the moment. Those qualities that you judge will come into your life. Upon recognition and compassionately allowing your relationships to demonstrate their mirror to you (rather than resisting or getting even) the attraction will fade. Once the pattern of judgment is addressed at one place on one level, in one relationship, its echo fades on many other levels and these triggers will cease to exist. The mirrors of judgment are subtle, elusive, and will possibly not make sense to all who become aware of them. As you journey through life, pieces of your life may be lost, innocently given, or taken away by those who have had power over you. These are your compromises, exchanged for surviving your experience. When you desire to love and give of yourself you may find nothing is left. Calling back those pieces of you may be your highest expression of personal mastery. There’s a good possibility you have just found someone who has the potential to show you something of yourself that you have sought for years or possibly lifetimes. 4. Reflections of Your Most Forgotten Love (Greatest Fear) The part of yourself that you have least remembered, the part that you hold most dear, is your forgotten love. Addictions provide you with the opportunity to experience your greatest fears as you drive away the things that you hold most dear. The gift of addictions is that you can see your greatest fears and identify that which you have a charge on. If you are to list the positive and negative qualities of your caretakers as you remember them, there is a good chance that the way you perceive them mirrors your belief of how your creator views you. Try writing down a few positive and negative qualities of each of your caretakers now and reflect. By virtue of healing your illusions and relationships with your earthly mother and father, you heal your perception of your relationship with their heavenly counterparts. See perfections in the perceived imperfections of life. With few exceptions, nearly everyone will experience a “dark night of the soul” at some point in the course of their lives. This is an experience where you are drawn into a situation or circumstance representing what appears to you to be your worst fear. This awakens a dormant force that may become your most powerful ally, a gift toward highest levels of mastery for you in this lifetime. You will be asked to draw upon every particle of wisdom available to you, from the depths of your innermost experience, to negate the power that you have given to the fear. To know ourselves in our greatest darkness is our opportunity to heal that part of ourselves that we least choose to experience. To find our balance, we must know our extremes and embrace both to heal the judgment of our experience and to find the power of our truest nature. The quest into darkness does not have to hurt. The pain, if any, is our mirror of the degree of charge that we have placed on “not losing” the things we hold most dear in life. My personal Dark Night led to the single largest jump of growth in my life. I’m now extremely grateful for it as I have formed an incredibly loving relationship with myself from the experience of it. I am now free of the fear that led me and I’m enjoying myself on much greater levels. Through the mirror of ourselves, we are asked to compassionately allow perfection in each expression of life, regardless of how the experience is viewed by others. The greatest act of compassion that you may ever be asked to demonstrate may well be compassion for yourself, in your choice of life conduct and expression. Your view of yourself in anything other than perfection will reveal your greatest doubt (universal fear of least trust) in the perfection of your experience. Your actions to change yourself born of anything other than the love and respect for the gift of life through your body will reveal your greatest question of esteem (universal fear of self worth) in the perfection of who you have become to be. Each one of the seven mysteries is sequential, building upon the realization of the one previous to it, through each you heal your universal fears. In doing so, you prepare for yourself the path that allows compassion to be a force in your life. Due to the high frequencies that are now present here on planet earth, the importance of supporting our body nutritionally is absolutely necessary for us to hold and integrate these frequencies if we wish to experience this transformation with ease and grace. So I have added a new category “recipes” and I share one with you now…please share your own on this blog. 1. Wash and cut sweet potatoes lengthwise in half. Cut each half in 4 slices. Place potatoes in large mixing bowl. 2. Mix all dry seasonings together. You’ll add olive oil last. 3. Pour dry seasoning over potatoes and mix well with your fingers. 4. Add olive oil and mix well. 5. Set aside for 1/2 to 1 hr. to marinate. 6. Spray shallow roasting pan with PAM. Spread potato mixture evenly in pan. 7. Place on middle oven rack. Bake at 400 degrees, for 30 minutes, turning once after 15 minutes. Because someone shared this with me and I really resonated with it I felt compelled to share it with you. And of course add my own unique perspective, I would like to encourage you to do the same and comment on this blog. For in the sharing we are all expanded…. Attitude brings forth a vibration or frequency which is then broadcasted from you out into the field…. the world and like wise reflects back on your own screen, which you call life. We have free will and many of us have a very strong will, would it not be advantages to use that will in choosing an attitude that will serve you in a life affirming manner? As always it is your choice to make it easy or difficult. Attitude could be the barometer to measure how you are raising your frequencies on a moment to moment basis. Just something to think about as we move through the process of ascension. We all shared in an AHA hour with Bernie Fallon creator of “Goodology” he shared with us his personal story and what the mechanics of Goodology” so that we may move through this transformation with more awareness and ease. To listen just click on the link below Goodology. I share this with love for all of us who are sometimes struggling with this process. That was 1933. I would love to say that in 2011 I am finding the phrase a great source of inspiration and encouragement. I do fear fear. Most of us do. Fear is scary. That’s what makes it fear. I’d much rather arrange life so I never have to partake of the stuff. Oh, Great Bartender, give me a tall glass of the usual – easy on the risks, heavy on the familiar! Just the other day I went to an amusement park with friends. The day was filled with laughter and fun. They coaxed me (post-adolescent peer pressure) to get on a ride that challenged my fear of heights and my biological ability to retain ownership of the contents of my stomach. I believe the technical term is ‘throw-up ride’. A bunch of young kids were on it too, and as the ride went up, way up, they were laughing, screaming, and having great fun. I wasn’t. My belly was knotted in protest and I was dizzy with fear. Suddenly the ride went straight down. Fast. I spent the time hating every moment and wondering why anyone would pay money for an experience like this. I noticed the kids, screaming all the way down, totally loved it. What had I missed? What did they know that I must have forgotten? That day I found out. My friends convinced me to ride a roller coaster with them. I said yes mostly out of wanting to promote a fearless self-image. It was only after sitting down in the front car and looking up that I realized I made a big mistake. The safety bar locked into place; somehow I did not feel safe. We started going up at a snail’s pace, agonizingly slow. My knees began shaking. Panic gripped me. What had I gotten myself into? Damn my co-dependency and egotistic tendencies! There was no turning back, and I was dreading it. I started making strange and interesting sounds at the very top of my lungs. I threw a primal tantrum and held nothing back. Very quickly my fear transmuted into a tingling excitement. Laughter bubbled up and out. My need to be on the ground (and in control) dissolved into trust and exhilaration. Whee!!!! I loved it so much that I wanted to ride again. Perhaps the presence of fear can be a sign that we are courageously buying a ticket to the roller-coaster of change, saying yes to the ride’s ups and downs, and not paying allegiance to our ego’s plan to keep us small, safe, secure, and unchallenged. Perhaps fear plays an accompanying role in any choice for greater aliveness, passion and healing. And perhaps it would behoove us to rediscover that childlike ability to accept and enjoy fear… deeply breathing, tingling, trembling, and, yes, screaming at times. I would take it a step further. We have nothing to fear. Not even fear. Enjoying ourselves while trembling is a wondrous step in the evolution of becoming free of fear. I feel a passion to move, and to keep on moving. I’ve been around long enough to know that staying in one place is not only undesirable, but downright impossible. We are always moving, changing, and growing. Riding the roller-coaster is what we signed up for on this planet. It’s non-negotiable. The more we say yes to the ride, the more we enjoy ourselves. I wish you great delight in the amusement park. Enjoy the fear. SCREAM! Have fun! 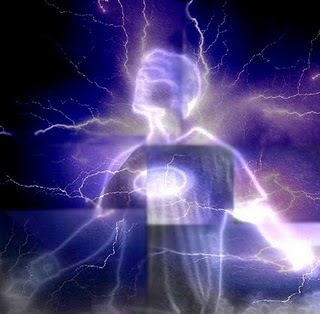 Are you experiencing the surge of energy? Are you finding that you feel more stressed? Not enough time to get everything done that you feel needs to get done? Welcome to the ninth wave…there is a solution…..RELAX…..REST…..MEDITATION…..JUST CHILL OUT or else you will BURN OUT! Instead of focusing on the challenge, go within, quiet down and listen to your inner voice. And then see and describe a positive outcome imagine what that would feel like. A friend on face book shared this You Tube presentation with me and I thought it was very timely and so I am passing it on. The presentation is in 3 parts and takes about 40 mins. but it is well worth the time particularily if you have been experiencing this push of energy and wondering what is going on.